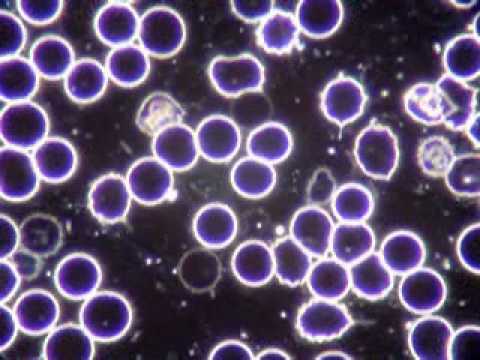 I recently attended a week long course in Live Blood Cell Analysis. The course was an excellent learning experience where I was able to get back to one of my first loves… staring down a microscope. I have always been passionate about biology and having a deep understanding about what makes us healthy. My fascination about health takes me right to the start… the cellular level. Live Blood Cell Analysis is a tool that I can use to help patients see health on a cellular level, which helps us understand how well they are absorbing nutrients, or if their natural supplementation is helping them. In addition, we can see how well they are detoxifying, the balance of their healthy flora, and much more by examining what is going on around their cells. It’s very intriguing and eye opening information. Our view from the microscope. It’s a pretty amazing look at what’s going on inside your body. In addition, I have put some time in preparing for changes in my professions movement to being regulated under the Registered Health Practitioner’s Act. It’s a big step and Naturopathic Doctors across Ontario are getting ready for this transition. So… with all this going on… just like anyone, my nutrition has been thrown off. Between working, then commuting to Toronto, to making sure my kid’s little faces were kissed and lunches were made, to grocery shopping (when i could?! ), and then thrown in some late nights for good measure… my balance was bucked like a cowboy in a rodeo! When life throws a curveball like this my way I do my best to eat healthy and I know at some point the dust will settle. And when it does, I go straight to what I like to call my “Bits and Bites” Salad. 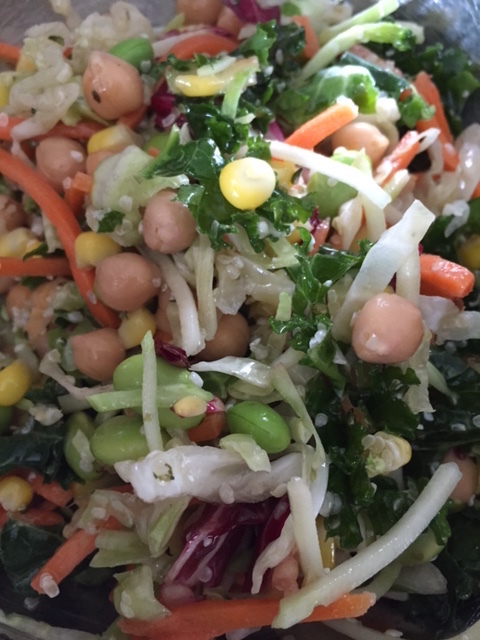 This salad is easy to throw together and it is full of veggies (to neutralize the stress and pH), good fats (to feed my brain) and plant protein (for go time). Here’s my version… remember it when the dust settles and you want a quick jump start back into healthy eating! Dress with a splash of raw unpasturized apple cider vinegar, a drizzle of olive oil and a sprinkle of pink or grey sea salt. Toss together and enjoy! This salad is great to travel with, too! If made in the morning the greens won’t wilt because they consist of hearty shredded veggies that hold up over the day. This is a filling and satisfying salad that is packed with nutritional density. It makes a great meal or side salad.